Why Choose e-Spection Home Inspectors? 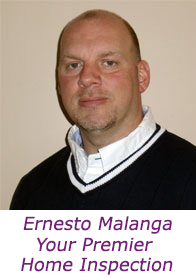 Meet Ernesto Malanga, owner and chief inspector at e-Spection Home Inspection Services, based in Brooklyn NY. Ernesto has been in the Home Inspection business since 2008. Ernesto is a New York State licensed and fully insured Home Inspector and Building Performance Analyst. Ernesto takes pride in following the highest standards and providing a highly professional service to all of his customers. Clients appreciate his honesty, integrity and courtesy — because he is on their side. Ernesto’s years of experience, plus intensive training and education in home inspection make e-Spection the most professional choice for Long Island, Westchester County, and the five boroughs of New York City for all aspects of home inspections, Move-In Ready certification, FHA (203)K inspections, Radon testing, Mold testing and Termite inspection. Buying a home is the biggest investment most people ever make.Your decision will affect you for years to come. No one understands this better than e-Spection. There is always risk when making such a large purchase decision, but a professional inspection will significantly reduce your risk, can help make the entire home buying process easier, and remove much of the stress and worry from the decision. Every inspection by e-Spection Home Inspection Services is thorough, complete, and comprehensive. Getting a look at what is going on behind the scenes is vital to a comprehensive home inspection. 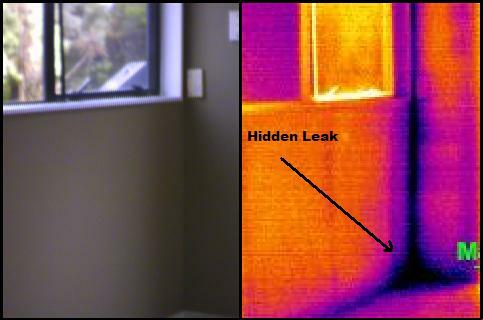 Thermal imaging uses technology to detect plumbing and roof leaksand areas where decreased insulation is affecting temperature and increasing energy use. Eliminating heating and cooling loss from a home will save significant money on energy costs. Not all home inspectors are created equal. E-Spection inspectors know the importance of taking all the time necessary for a complete, in-depth inspection. Home inspectors who rush through an inspection can miss important, expensive issues that can potentially cost a home buyer big moneylater on. It’s important to know that when a home inspector finds a problem, generally the seller, not the buyer, will be responsible for the repairs.Buyers who try to save money by hiring a low-cost home inspector can end up spending thousands of dollars to fix the things that were missed. When you hire a home inspector from e-Spection, a certified home inspector will spend two to three hours thoroughly inspecting and evaluating the property you are considering purchasing. If we inspect your home and you are not 100% satisfied with your experience, you won’t pay for the inspection. Join us for your home inspection; if for any reason you’re not satisfied with your experience, tell the inspector before you receive your report. We’ll either make it right, or you don’t pay the home inspection fee.